The Graston Technique is a manual soft tissue technique invented by an athlete named David Graston. Unable to recover from an injured knee he got while water skiing, He designed a unique set of tools to assist with his rehab. Cross-friction massage was developed by orthopedic surgeon Dr. James Cyriax and was the primary concept behind the development of the soft tissue treatment for the Graston Technique. The Graston Technique is an instrument-assisted, soft tissue mobilization therapy, that breaks up fascial restrictions, scar tissue adhesions, and locates areas of chronic inflammation or fibrosis. The Graston technique will help conditions such as a cervical sprain, tennis elbow and golfer’s elbow, lumbar sprain, rotator cuff tendinitis, and even Achilles tendinitis. 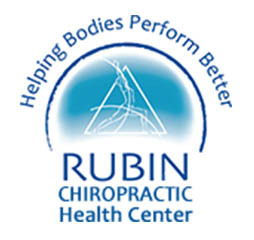 Dr Rubin has years of experience helping patients using the Graston Technique. The Graston breaks up scar tissue formed by tendon damage and knee surgeries. Dr Rubin uses one of six stainless steel tools to diagnose and treat certain conditions. Designated areas of the body use certain tools to break up adhesion’s, which helps start the healing process right away. Graston treatments will decrease treatment time and reduce your need for NSAID medications. The treatment is applied in multiple directions: with venous drainage, against venous drainage and cross fiber in multiple directions to the lesion. As with other soft tissue techniques the treatment application is also part of the diagnostic process. As the Graston tool is applied, a “vibratory” sensation is felt through the tool to the examiners fingertips. The patient simultaneously experiences a similar sensation while the tool traverses the area being treated. Soft tissue mobilization will also help recovery from stiff, painful or over-tired muscles by: speeding up the elimination of waste products and temporarily increasing the local blood supply. STM primarily works the muscular system but can be utilized for scar mobilization and deep friction massage of tendons, fascial tissue, or ligaments. STM techniques are a combination of manual techniques designed to relax, release and stretch soft tissue. Q: What is the Graston Technique? Q: Why is scar tissue a problem? Q: How is scar tissue different from other tissue? Q: How are the instruments used? Q: Are other procedures involved in using Graston Technique? Q: What is the frequency of treatment? Q: What kind of results does Graston Technique produce?